How does it sound if during your childhood you had to visit exciting places and make new friends all over again after every few years? If during your childhood, your parents were in one of the central government jobs, before you knew it, it was time to pack and move on. This could have repeated for you every 3 years or so. Many of my friends and acquaintances have experienced this. They have mixed feelings about this entire affair. Excitement of visiting new places in the country was like a never-ending adventure to many of them. However, one thing they all seem to agree on – this used to play havoc with their studies. If we look at the current employed generation, especially the ones in the private sector, people tend to switch jobs once in a while. When they do that, they also sometimes move to a different city, or sometimes to a different country. If you live in a gated community in an area like Electronic City in Bangalore, you will be surprised to know how many families move in and move out every month. Many of these families have young, school-going children. One of the things that causes stress to these parents is how to get their kids into a good school without losing the current academic year. I have seen many of my friends going abroad for onsite assignments, sometimes for longer duration like 2-3 years. How do the parents cope with the seismic shift between the education at home and abroad for their kids during this time? There is no single answer to this. Moreover, when they come back, it’s always a challenge for kids to adapt once more to a different style of education. Is there a mitigation plan in parents’ mind? Such parents tend to cope with the situation in the best possible way. For example, if their kids were studying in a CBSE school, they try to continue to another CBSE school, hoping this will cause the least disruption. Kendriya Vidyalayas, created by Government throughout the country takes care of this issue for a small segment of the society. However, the actual conditions are anything but ideal. There are many factors which can cause disruption in the learning of the kids – fees and other costs of the new school, misalignment to the academic year, distance of good schools from the home, and so on. When the parents are in the midst of moving, one of the things which come to their rescue is Homeschooling. This can be a stop-gap arrangement while they get settled and find a good school for their kids. Homeschooling, also known as home education, is the education of children at home or a variety of other places. Home education is usually conducted by a parent or tutor or online teacher. Homeschooling is a viable option, at least for continuing education, in the western countries. I am not saying that one should replace the traditional mode of learning by Homeschooling. However, in the scenarios I described earlier, Homeschooling can be a viable option for parents. Every educational system offers several opportunities to learn something new every day along with harnessing their own unique qualities and interests. And like mainstream schools such as public school, private school and charter school do, homeschooling also prepares children for life. While Homeschooling provides flexible choices keeping the creative, cognitive, social and emotional development of children, we need to look at both sides of the coin. Blended Learning program from NumberNagar® offers kids experiential learning using the 5CTM methodology. One of the main aspects of this methodology is activity-based meaningful learning experience while adhering to the board, e.g., CBSE, ICSE and so on. This means, as a parent, if you are moving to another city and wondering how you can keep the quality of education high for your kids, you can check-off one item from your list. In fact, you can move from a NumberNagar® centre in one city to one in another city and can expect to have the same quality of education. Whether the learning is facilitator-assisted or parent-assisted, we go out of our way to minimise the gaps in the education of kids even when their parents are on the move. 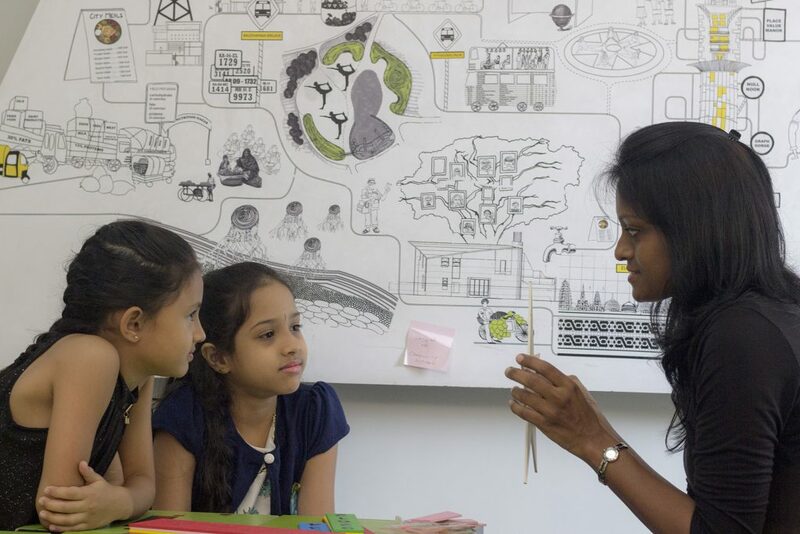 Indian parents are becoming aware of homeschooling as a viable option for their kids. In April 2010, the Delhi High Court looked at a PIL regarding whether the RTE infringes on the freedom of parents and it needs to be amended to accommodate homeschooling or not. On April 13 the same year, the court dismissed the plea asking for their vision on homeschooling and share a draft representation to the Ministry of Human Resource Development within 8 weeks. According to the experts, in the RTE Act a school is well defined however it does not say whether every aspect of educating a child will be governed. However, the Minister explains that the RTE is responsible to ensure the state creates schools that offer a reasonable, quality education for all children, especially to the ones that come from economically challenged backgrounds. “If somebody decides not to send his or her children to school, we are not going to interfere,” Minister Sibal clarifies. “Parents are free not to send their children to school but teach them at home.” The Minister says the government cannot be micromanaging, and “if parents wished to and had the means,” they can home school their children. Although Sibal’s words gave some relief and encouragement to the home-schoolers about the prospect of home education, RTE creates unique challenges in India. Although the act says all children must get “free and compulsory education at school”, it still may pose a risk compared to formal schooling as it lays no definite guidelines for the parents. 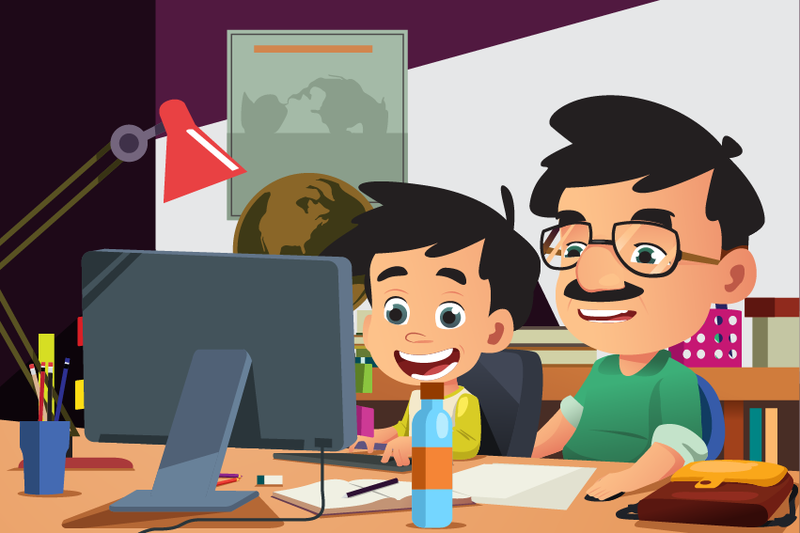 The concept of homeschooling still needs an out of the box approach along with a diverse learning technique and disciplined environment to take this up as an effective learning format. Education is a concurrent subject, as it is the responsibility of both educators and parents and at a larger level state government as well. At NumberNagar we believe in educational freedom and we give the liberty to children to decide academic flexibility. We ensure to keep children’s creative, cognitive, social and emotional development as the focal interest. Socialisation: Due to limited exposure to groups or classroom setup, children may find difficulty in integrating in groups easily or being sociable. This may limit public speaking, debating and negotiation skills in a child. Lack of discipline: Since the child learns in a familiar environment, he or she does not get to come out of the comfort zone and at times, this also may encourage kids to take everything for granted. Personal biases: At times, parents can choose to overlook their children’s deficiencies or their own inabilities as a parent. One is always biased towards their own kid. Lack of competition: Nothing can drive you as much as a healthy competition with your fellow mates. Studying at home does not give children a competitive environment or positive peer pressure. At times you learn by looking at, following and inspired by others and grow by implementing it to yourself. Lack of perspectives: Since homeschooling is more or less is solo learning, hence the child may miss out on topics or ideas that emerge from brainstorming or debates or challenging each other. Feedback and punishments may not be fruitful: A child may not take feedback seriously as the feedback comes from the parents and they are casual about it. Once again this may bring lack of discipline in the child. For parents, one of the important factors is whether the next school in the child’s journey will deem homeschooling valid. Parents need to apply due diligence while homeschooling. NumberNagar doesn’t influence the decision of parents on whether to homeschool or not. However, NumberNagar offers a viable option for parents on the move and for continuing education. Previous Previous post: Context! Context! Context!